Eduardo Candanosa, M.D. is Board Certified in Family Medicine. His practice, Specialized Family Clinic TM is located at 801 E. Nolana Ave, Suite 3 in McAllen, Texas. He was selected as the Mega Doctor for this issue for his genuine desire to motivate his patients in the Valley to make better choices. 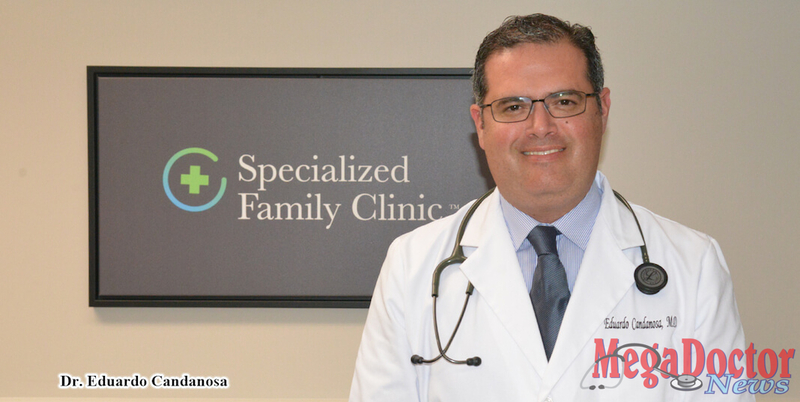 Dr. Eduardo Candanosa recently opened his new practice office called Specialized Family Clinic in McAllen. A board-certified family medicine doctor, he received his medical training in two countries. As a native of Mexico, he studied to become a medical doctor in Mexico and then studied in the United States to revalidate his medical degree. He has worked as a hospitalist physician and gained a lot of experience in treating patients with many different health issues that are prevalent in this area. 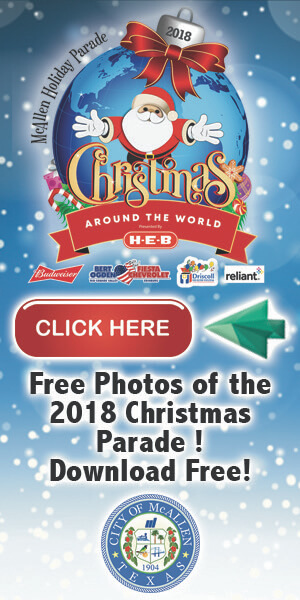 He was a hospitalist in the Rio Grande Valley before opening a practice. Dr. Candanosa says that our health is probably the most important thing in our life and even though it is hard to do, it is our choices that can help us live a healthier life. In this issue, get to know more about Dr. Candanosa and his concerns about patient health. The Texas Legislature passed Senate Bill 11, one of four child welfare reform bills during the 2017 session. Senate Bill 11 requires foster kids to see a physician within three business days of placement in foster care; before it was passed, foster children waited as much as 30 days to see a doctor for a physical. This will help children who are in foster care in Texas to be as healthy and safe as possible. The National Hispanic Medical Association is a non-profit association representing the interests of 50,000 licensed Hispanic physicians in the United States. The vision of the organization is to be the national leader to improve the health of Hispanic populations. The National Hispanic Medical Association honored two UTRGV professors during its annual conference. Dr. Francisco Fernandez, UTRGV professor of psychiatry, was appointed to the NHMA Board. Dr. Michael Martinez, UTRGV clinical assistant professor in surgery, was named Young Physician of the Year. The mission of the organization is to empower Hispanic physicians to lead efforts to improve the health of Hispanic and other underserved populations. The NHMA works in collaboration with Hispanic state medical societies, medical residents, and medical students, and other public and private sector partners. The University of Texas Rio Grande Valley School of Medicine recently opened its first student-run clinic at Proyecto Desarrollo Humano in Peñitas. The clinic will provide free healthcare services to the patients of medically underserved communities. The medical students will operate the clinic once a month; they will be supervised by the clinical faculty of UTRGV School of Medicine. Originally from Elsa, Texas, Frank Ambriz, clinical associate professor in the UTRGV Department of Physician Assistant Studies, and program director of the Master in Physician Assistant Studies Bridge Program (MPAS) was recognized by the Texas Academy of Physician Assistants. TAPA named Frank Ambriz, the 2018 Outstanding Physician Assistant Educator of the Year. Congratulations! I invite you to read these and other stories in this issue; I know you will enjoy it.